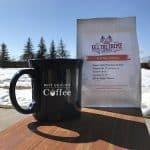 If there's one thing I've learned in my journey with CBD coffee, it's that they are not all created equal. 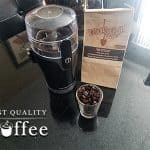 As a regular reviewer for Best Quality Coffee, I've always found it helpful to provide personal context for my experiences. I'm an active woman in her late 60's who values a healthy lifestyle….and a delicious cup of coffee. I was intrigued by the idea of CBD coffee and for the last few months, have been diving head first into this world. 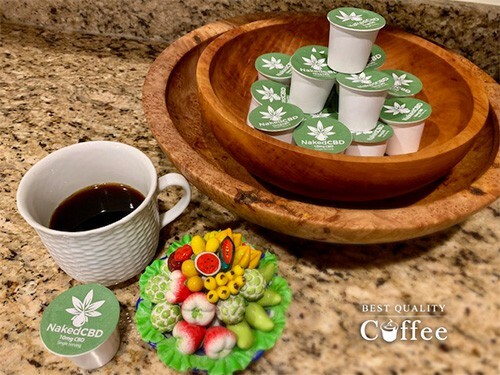 Naked CBD recently sent me some of their CBD coffee pods to review and having already tested out a number of other CBD coffee brands, I was very excited to see how this brand compared. 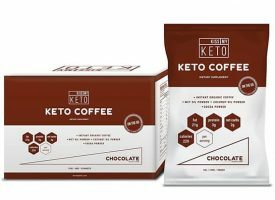 The following Naked CBD coffee review will detail my thoughts about this product. As I disclaimer, this is not to be taken as medical advice. These are my own personal experiences with this coffee and mine alone. I share them in hopes that they can give you a better idea of whether it's the right product for your specific circumstance. 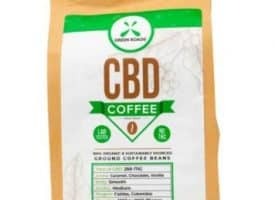 If you have any questions about my experience after reading this Naked CBD coffee review, please feel free to the leave them in the comments section. Click this button if you'd like to skip directly to the review. If you're on this page there's a good chance you may already know about Cannabidiol (CBD). But for those who may not, I'll provide a very brief overview of what CBD is. CBD is a natural compound found in the marijuana plant and has been known to relieve a wide range of ailments from physical pain and anxiety to Alzheimer's and cancer. I won't cover all the potential health benefits here as it would make for a very long article. If you'd like to learn more about it, check out Project CBD which offers in-depth information on CBD and how it interacts with the body. Those new to this area may have heard of the term THC which stands for tetrahydrocannabinol (quite the mouthful). THC is the active ingredient in marijuana that produces the psychoactive effect that many refer to as a “high”. CBD, on the other hand, will not get you high which is especially convenient for the many people who want the health benefits without the high feeling. Having said this, I'll commence with the Naked CBD Coffee Review. 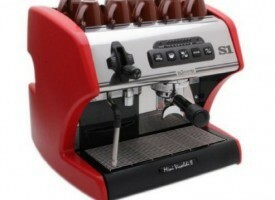 The coffee lover in me refuses to drink bad coffee. Fortunately, Naked CBD has produced a very solid brew with their organic Colombian beans. The high altitude mountains from which the beans are sourced give the beans a medium body with a clean and sweet after taste. I typically like my coffee strong, flavorful, and full of body so this coffee meets these requirements in full. For those concerned about the CBD affecting the coffee's flavor, don't be. I didn't notice anything unusual about the flavor which in this case is a very good thing. 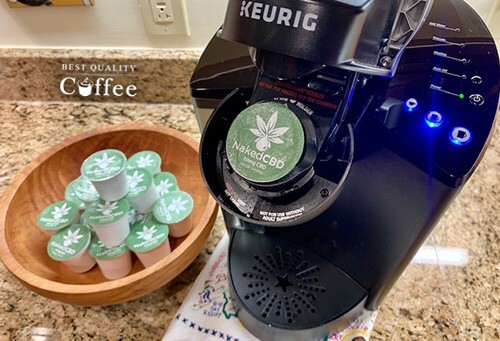 Their coffee is offered as regular or decaf and comes in a coffee pod / K-Cup delivery form which is especially welcomed convenience for those who own a Keurig. Now we move on to what I think is the most interesting part of this Naked CBD coffee review. 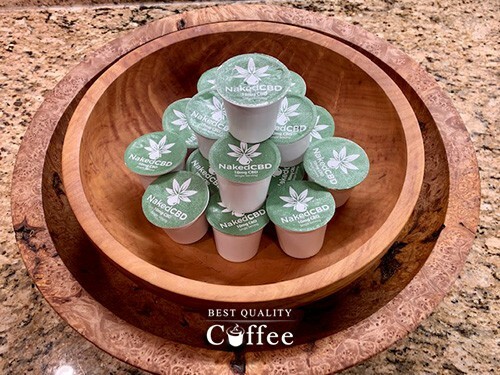 Naked CBD uses lab-tested pharmaceutical grade CBD which among the best CBD coffee brands is considered a minimum requirement. 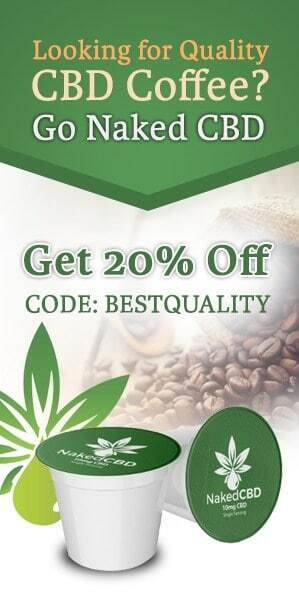 This tip may be an obvious one, but only purchase CBD coffee that uses high quality CBD that's verifiable. 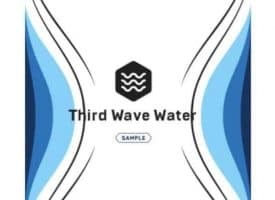 If this information isn't available in the product description, don't hesitate to reach out to the company and ask for more information about their CBD. When it comes to your health, there's no room to play around. The CBD is Naked CBD's coffee really resonated with me. As soon as I had my first cup, I felt a very calming and leveling effect take place within me that to my surprise lasted through the entire day. I didn't feel sedated or sluggish at all. In fact, it was quite the opposite. Throughout the first day of drinking it, I felt a distinct mental clarity and focus I hadn't felt in years. That particular day I caught up with some friends and just felt that my listening comprehension and vocabulary skills were drastically improved. It was like the right words were readily available to my mind and they just flowed out of my mouth. That night, I also had one of the best sleeps I'd had since I could remember. It wasn't a heavy sleep; but rather, a continual one which helped me to feel very rested in the morning. 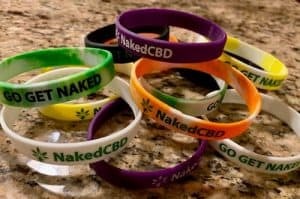 The next day, I enjoyed another cup of the Naked CBD coffee and had virtually the same type of experience throughout the day. The skeptic in me wondered whether this was a fluke or simply to good to be true. Maybe my body chemistry for those two days just happened to be firing on all cylinders. Maybe it was the alignment of the stars or something. So to test my hypothesis, I went a day without it and sure enough, I didn't feel nearly as good as the previous days and the desired effects were gone. The skeptic wasn't done. I then debated whether caffeine had a role in my initial experiences. 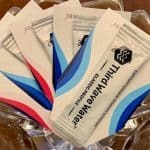 The following day, I tried a Naked CBD decaf coffee pod to rule out the influence of caffeine (they were kind enough to send me both regular and decaf CBD pods.) Low and behold, all of the previous benefits returned in full and I was back to being extra clear-minded and sleeping well. More recently, I found myself in a situation that would really put the CBD to the test. Without going into much detail, I was in a position where I had to make a series of very important decisions that carried much weight. I was juggling multiple conversations at the same time and coordinating many different plans at once. It was a multitaskers dream. To my surprise, I felt very poised through the entire experience which enabled me to think clearly and ultimately give the right advice. I found this particular CBD coffee gave me the needed mental clarity and focus to handle the situation successfully. If you've read some of my previous reviews, you'll know that because of my background in medicine I'm always cautious about making unsupported claims. 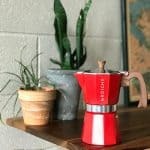 Please know that the content of this Naked CBD coffee review in no way constitutes medical advice. I've experienced many positive effects from other CBD coffees before, but almost none have been this pronounced, prompt, and sustained. The coffee was good but the effects of the CBD were phenomenal. 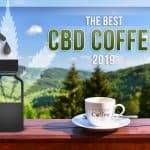 If you're interested in exploring other CBD coffee offerings, check out our updated list of best CBD coffee brands.